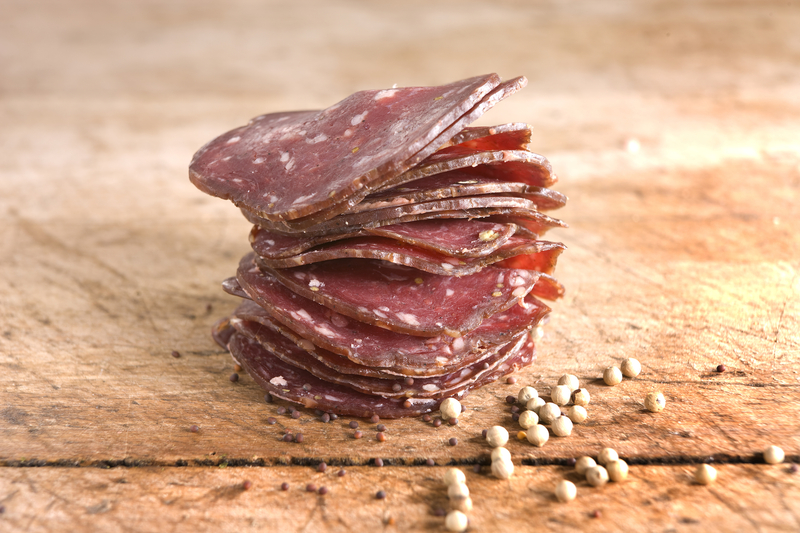 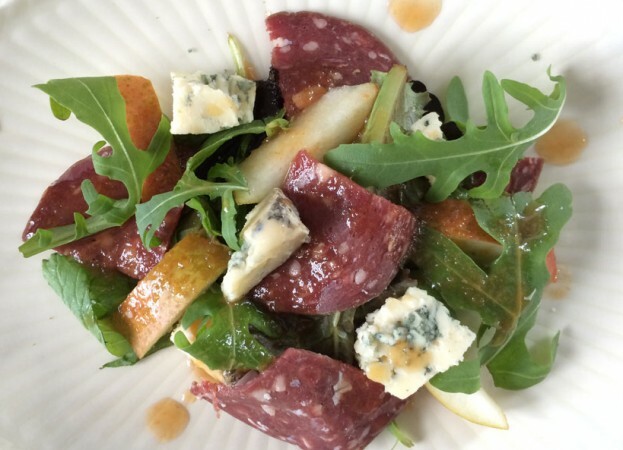 This salami is made with pure wild venison and spiced with mustard seeds and cracked white peppercorns. A mild delicate salami. 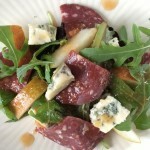 Great on a charcuterie platter, in salads or on a sandwich.